Our junior program caters for 3 to 5 year olds. Children will learn co-ordination, self-control, discipline and respect in our fun, high-energy development classes. The Karate 4 Kids unique class curriculum will assist parents with reinforcing traditional family values, which are important in every child’s upbringing. These classes are designed to give children an advantage by preparing them for school and learning. 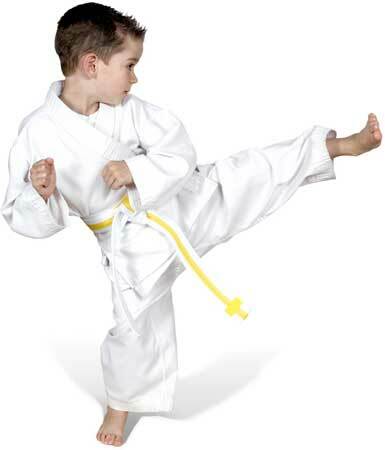 Karate 4 Kids offers an intermediate program for 6 to 8 year olds. Students will have fun while their learning new and exciting skills. The classes teach skills that we all take for granted such as personal interaction, motivation and self-esteem. We make learning fun! Imagine your child keeping room tidy and asking you what they can do to help around the house. Karate 4 Kids can make it happen. Our advanced program is for students from 9 to 12 years old. Children of this age require a higher degree of dynamics, both in physical and mental challenges as they are able to understand the basic fundamentals of movement, balance, coordination and memory. Karate 4 Kids takes learning to the next level by increasing the mental and physical education program. Classes are high energy with self-control and motivation training. Students will learn that anything is possible if they have the right attitude. Each class is limited to a maximum capacity of twelve students. Bookings are essential. Our Fitness and Safety Programs are age specific. They are fun and educational, teaching children basic fundamentals in fitness, nutrition, health and safety. Your child will have loads of fun in our high energy classes. Students learn co-ordination, self-control and traditional family values such as discipline and respect. Karate 4 Kids unique curriculum will assist parents with reinforcing these values which are important in every child's education and development. The Karate 4 Kids class curriculum incorporates the best self-defence techniques from a wide range of martial arts. Our training is non-contact and we teach the students to defeat the bully through non-conflict resolution. Older children require much more dynamic classes. As older children are able to understand most of the basic fitness fundamentals, we take it to the next level with dynamics. These classes are high energy and fun. Our classes teach self-control and incorporate self-motivation training. Students will also learn the importance of goal setting as well as traditional values such as courtesy and respect. Karate 4 Kids instructors have extensive experience working with children. Have confidence knowing that all K4K instructors and staff hold Senior First Aid Certificates and Working With Children Blue Cards. All instructors attend regular training seminars and personal development classes. We ensure all K4K instructors skills are current and up to date with national fitness industry standards. K4K instructors love their jobs and they strive to achieve the highest standards for your child's personal development. We at Karate 4 Kids believe it is essential that from an early age students learn how important respect really is. Children learn that to gain respect from others they must first give respect to others. They will learn how important it is to respect themselves, their parents, teachers and each other. The importance of respect is taught in all of our classes. From a young age students need to learn co-ordination skills. The development of motor skills is an important aspect in all our class routines. Each class also includes a gymnastic and aerobic component. We all understand and appreciate the importance of good concentration skills. Karate 4 Kids teaches students from 3 years of age how to focus and learn patience, the essential skills for good concentration in school and later life. "I want the best for my children. I enrolled my daughter in Karate 4 Kids classes so she is better prepared for the challenges that society today sets her. She really enjoys coming to class and I can see dramatic improvement at home and in her schoolwork and it has done wonders for her confidence in social situations". "One of my kids was having trouble with bullying, it was affecting his confidence and his schoolwork. I heard about Karate 4 Kids and how they teach so I put my kids in. I'm glad I did. My children learnt how to walk away from a bully without fighting, they do better at school, they have confidence in themselves, and have learnt how to set goals for themselves and achieve them". 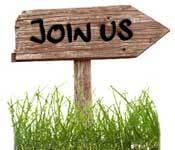 Come and join our family! Call 1300 854 542 or Contact Us. Learn self-defence, get fit, have fun, and meet new people. Enquire about our Adult classes today! We would love to see you and your children!